"In me, there is the red of miry clay, the brown of spring floods, the gold of ripening tobacco. All of these hues are me; I am, in the deepest sense, colored." 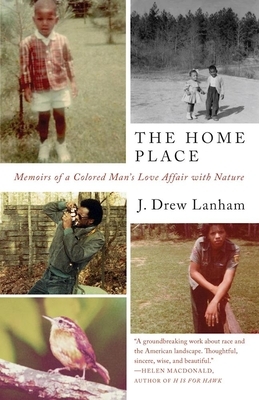 From these fertile soils of love, land, identity, family, and race emerges The Home Place, a big-hearted, unforgettable memoir by ornithologist and professor of ecology J. Drew Lanham. Dating back to slavery, Edgefield County, South Carolina--a place "easy to pass by on the way somewhere else"--has been home to generations of Lanhams. In The Home Place, readers meet these extraordinary people, including Drew himself, who over the course of the 1970s falls in love with the natural world around him. As his passion takes flight, however, he begins to ask what it means to be "the rare bird, the oddity." By turns angry, funny, elegiac, and heartbreaking, The Home Place is a remarkable meditation on nature and belonging, at once a deeply moving memoir and riveting exploration of the contradictions of black identity in the rural South--and in America today. Born and raised in rural South Carolina, J. Drew Lanham is an Associate Professor and Certified Wildlife Biologist in the Department of Forestry and Natural Resources at Clemson University. While he is widely published in his scholarly field, "The Home Place" will be his first book for a general audience. He lives in Seneca, SC.